Seems everyone has a special secret insight into the Kindle tablet from Amazon (Nasdaq:AMZN) and how it will kick Apple’s (Nasdaq:AAPL) iPad around the block. Pretty good publicity for an unlaunched product. The price point buzz is critical. Everyone assumes Kindle will come in way lower than Apple. Everyone says Amazon has huge cash reserves and will try to bleed Apple. Everyone knows Apple has lots of cash and can take some attrition warfare. 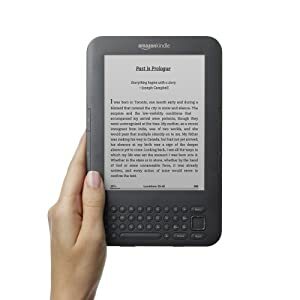 Once Kindle forces the price down who will win the upgrade war of new and wonderful features. Amazon and Kindle have a winning track record in the marketplace. Apple has dominated because it takes an early lead and does not lose it. Apple will see the lead shrink and it is not used to fist fight. So will they annoy the iPad customer and drop prices once Kindle has some traction or will they strike pre-emptively and signal respect for Kindle Tablet. Disclosure: George Gutowski writes from a caveat emptor perspective. I am anxiously awaiting the Kindle tablet before I make my final personal decision. I do not own positions in stocks mentioned in this post. I do not have any plans to initiate any new positions within the next 72 hours. This entry was posted in Stocks and tagged Amazon Kindle, Android, Apple, IPad. Bookmark the permalink.